Ian Weinstein steps down after almost 10 years of clinic leadership. Any time it takes two people to follow you at a job, you know you’ve probably done something right. Last December, after nine years as the head of Fordham Law’s clinical programs and five years as the School’s first associate dean of clinical and experiential programs, Ian Weinstein stepped down to return to full-time teaching in Fordham’s clinics and classrooms. Dean Matthew Diller has divided his job between Leah Hill, as associate dean of experiential programs, and Michael W. Martin, as director of clinical education. Fordham Law’s clinics nearly doubled under Weinstein’s leadership, though he is prouder of growing them the smart way: establishing an administrative structure that has helped the program survive the challenges of the recession. He also helped spread the experiential approach throughout Fordham Law’s curriculum, with the launch of programs such as the Fundamental Lawyering Skills course. Likewise, he ensured Fordham Law’s experiential efforts gained national recognition by serving as president and board member of the Clinical Legal Education Association. 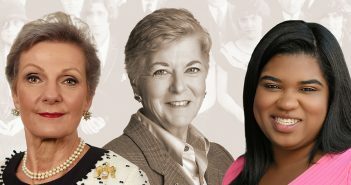 Fordham’s national leadership will continue, as Clinical Professor of Law and Director of Professional Skills Beth Schwartz assumes the co-presidency of CLEA, and Martin, Associate Professor Elizabeth Cooper, and other Fordham Law faculty serve in the leadership of other prominent national organizations. As a firm believer in the importance of integrating practice and theory, Weinstein worked to help make the experiential approach, which was once a novelty at Fordham, an everyday part of the curriculum. He worked to ensure that every student who wanted to take a clinic could get into one before graduation. The new challenge, he says, as experiential education becomes a part of every law student’s education, is not just giving every student an experience.